Who’s ready for an update on the remaining construction in New Fantasyland at Magic Kingdom Park? Walt Disney Imagineering just shared a new video with us that offers up a look inside the two attractions in New Fantasyland that are still yet to debut: Princess Fairytale Hall and Seven Dwarfs Mine Train. 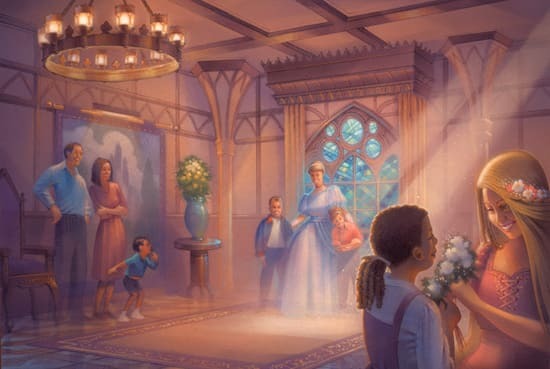 Princess Fairytale Hall, which will open later this year, will be the ultimate destination in which to greet Disney royalty. The Seven Dwarfs Mine Train, a family coaster that is set to open in 2014, will take Magic Kingdom Park guests on a musical journey through the mine “where a million diamonds shine.” The attraction will offer an innovative ride system with a train of vehicles that respond to every twist and turn, plus appearances by animated figures from “Snow White and the Seven Dwarfs,” and music from this classic Disney film. In this video, Imagineers Jason Grandt, Pam Rawlins, and Dave Minichiello take you behind the scenes for an update. 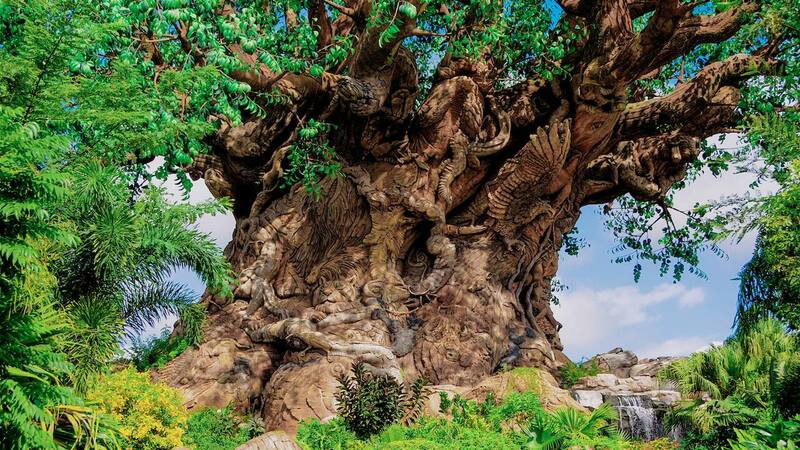 Which of these attractions are you most excited to see for yourself? Let us know in the “Comments” section below. To join the discussion online, use the hashtag #NewFantasyland on Twitter. when is the ride opening in 2014? Is there any word yet on when the Mine Train will open? We were there in March and got to see a lot of the development going on. There for 4 days and we had a wonderful time with our whole family. Hope to be back soon when all of the new castles and attractions are done. I was there as a child the first year the park opened in florday and now my children are enjoying it! Thank you Disney World for always creating a memorable experience! Can’t wait to ride seven dwarfs mine train in 2014. Hopefully the youngest grandchild is tall enough to ride by then. As always I am amazed at the talent of the Imagineers! I do miss the Snow White ride though. I’m so excited. I know they’re looking at 2014 for the opening of the ride now but have they said when? Spring 2014, Summer, Fall? Just wanting to plan my next vacation and really don’t want to miss this ride! That piece hasn’t been announced yet. As soon as we know, it will be right here. Any word on when Fairytale Hall will open in 2013? We are coming in November. Do you think it will be open by then? No word yet, stay tuned! When do they expect the mine ride to be finished. I can’t wait. Dave really made me excited for the Seven Dwarfs Mine Train. I really loved how he referred to it as a show. That is really how I feel about all the attractions at Disney, nothing is just a ride. Can’t wait, I sure miss Snow White’s Scary (????) Adventures. This sounds even more exciting. December 2014!!!! We are going to have a blast in New Fantasyland though! My daughter is going to flip when she sees the new Princess hall. Can’t wait! You can easily see the construction from all over New Fantasyland/Fantasyland. It’s amazing just how big this attraction is going to be. My entire family is looking forward to this! Love it!!! Ok, you got my interest. For a change in our Christmas celebration our family visited WDW last year on Christmas week. It was not our first visit but certainly the nicest. The team at WDW has done wonders with Fantasyland and this final touch has captured my interest in a return I thought would be put off for a couple more years. I tip my Mickey Ears hat to all of you that continue to bring new innovation and excitement to what we all know IS the most magical place on Earth. I’m “on track” for a 2013 fall visit. Awww man, myself and fam will miss out on the Seven Dwarfs Mine Train (going to DW December 2013) but we’ll definitely make another trip after it opens. My son is too young right now anyway but hopefully he’ll be old enough to ride the train on the next trip. Can’t wait to check it out! I can’t wait to ride it at MK, I just know it’s going to be great. So happy that MK is getting this new ride. Can’t wait to ride the fourth mountain in the Magic Kingdom. Thank you Imagineers! I can’t wait to become one,as I have always dreamed to become a Disney Imagineer! As much as any girl can love princesses, I’m much more excited about the Mine Train! I love thrill rides, and I’m glad to see another ride along these lines. We were just there at the beginning of April and got to explore the New Fantasyland, but can’t wait to see the rest of it! Will the Princess Fairytale be open in September? Great seeing “Little Dave” again in the Dwarf’s Mine Train video and know he had a Thunderous example while he was in Paris Disneyland. This has got me thinking to what mining would be like back in Snow White’s day. Are they still mining rare diamonds and jewels as at Disneyland’s Snow White attraction and in the animated film? Any idea on the height requirements? This ride looks amazing and I’m hoping everyone is tall enough!!! I’ll look into it…I’m not sure if that has been determined. Boy, I’m I glad that I am waiting till next summer to go to WDW! I don’t want to miss anything that is new! Can’t wait! Thank you to the amazing imagineers! We can not wait for the MINE TRAIN ! any idea when it will open so we can make some WDW reservations? !!!!!! As soon as we know, we’ll share it here. Just seeing all this contruction being done for the Dwarfs Mine Train in the New Fantasyland is very exciting indeed. We are going to Disneyworld next April and looking forward to seeing it in person all completed. Disneyworld is a very happy place for all ages. We were there in December and got a glimpse of the new Fantasyland, it’s a big jump from the days of Mickey’s Birthdayland, that’s for sure! Great imagineering, and looking very forward to the Seven Dwarfs Mine Train! I’m amazed by the level of detail and care the Imagineers put into New Fantasyland. It turned out great. We were there for the opening of New Fantasyland and saw the progress when we returned for NYE! Can’t wait to see the final product! Any idea when Princess Fairytale Hall will open? Later this year is all we know at this point, Erin. Please keep checking back…we’ll post more as soon as we know. That’s great to hear, Chrystal! This is fantastic! You guys rock! Can’t wait until the seven dwarfs mine train opens!I wish the mine train would be open when I go in August!